The Worlds 2017 group stage continues this weekend, alongside the season play-offs for Overwatch Contenders and a ton of Counter-Strike matches. 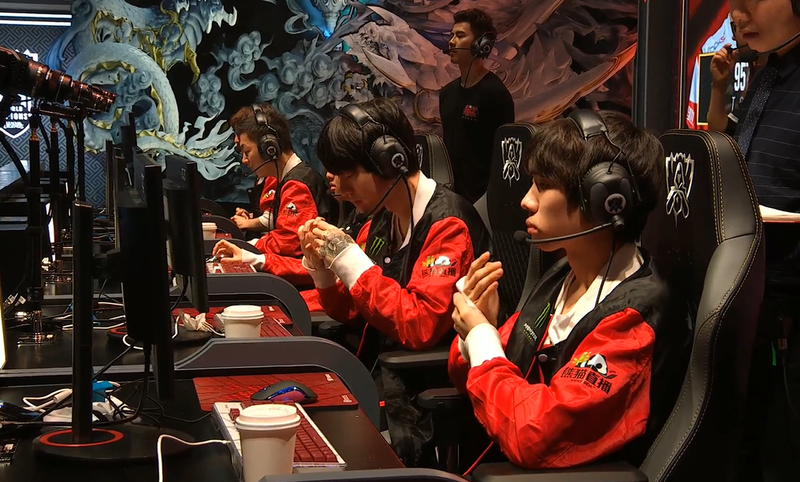 In League of Legends, this morning saw North American hopefuls Team Solo Mid rip through Team WE followed by China’s Royal Never Give Up earning an important victory over South Korea’s Samsung Galaxy. But there are still twenty four matches left to be played over the next week with the top two teams from each of the four groups going on to compete in the knock-out stage. But this weekend is also home to the first Contenders League play-offs well known teams fighting alongside more recent upstarts in both Europe and America. Team EnVyUs, one of the game’s best since last year, continues to look like favorites after going undefeated in the regular season. Group play got underway earlier this week with teams SK Telecom, Longzhu, RNG, and TSM all coming out strong and currently undefeated. Still ahead this weekend are matches beginning Sunday morning at 3:00AM EDT with Team WE vs. Flash Wolves. Play will then conclude around 8:00AM with RNG in the hunt for their first victory against G2. Welcome to the SkinCoin World Cyber Arena 2017 Europe Finals. Weird currencies aside, the tournament comes to a head at 12:00PM EDT today when Team Empire takes on HellRaisers for the lion’s share of the $50,000 pot. You can stream the best-of-five finals live here. Season one of the Contenders League will crown its first champions this weekend with play-offs across both Europe and North America. On the continent the action begins today at 1:00PM EDT with Misfits vs. Cloud9 followed by Team Gigantti vs. 123. Then in the states Envyus take on FNRGFE at 5:00PM followed by Faze Clan vs. Envision at 7:00PM. On Sunday it’s the grand finals, starting with the remaining two European teams at 1:00PM EDT and then later in North America at 5:30PM. Both sides will see their best teams competing over $100,000 prize pools. There’s the Gfinity Elite Series starting with Team Endpoint vs. Team Infused at 12:30PM EDT. At 2:00PM you can catch ECS Season 4 starting with Virtus Pro vs. Team EnVyUs. Then there’s the ESL Pro League Season 6 with Mouseesports vs. Na’Vi at beginning at the same time. For a complete breakdown of the ESL Pro League Season 6 standings and schedule go here. Beginning today at 5:00PM EDT in New York, Nintendo’s fabled competitive gaming spectacle will showcase both kids and adults ranging from speedrunners to wrestlers. More of a game show than a pro gaming event, contestants qualified for the event by doing time trials in Mario Kart 7 and won’t know ahead of time what games they’ll have to play during the actual event in order to win. In addition to ranking matches online in North America, the Capcom Pro Tour goes abroad this weekend for the TWFighter Major 2017 in Taipei, Taiwan. The tournament went through top 32 earlier today with top 16 set to begin on Sunday at 4:00AM, followed by top 8 at 7:00AM. Top contenders include Tokido, Ykadon, and Haitani. Online, meanwhile, Punk and others will be will be accruing CPT points beginning at 7:00PM EDT tonight. You can stream those events here. It’s Big House 7 week with Melee and Smash 4 players descending on Michigan for one of the biggest Midwest events of the year. Competition resumed today after Friday’s start with Melee doubles at 10:00AM. Smash 4 top 8 for doubles will kick off at 2:00PM followed by Melee doubles top 8 at 8:00PM. On Sunday, singles gets down to business with doors opening again at 10:00AM and Smash 4 top 8 scheduled to start at 3:00PM followed by Melee at 7:00PM. You can catch the Melee matches here and the Smash 4 side of the tournament here. It’s Crucible week in the HGC. That mean up and coming teams will be competing for spots in Heroes of the Storm’s next competitive season. Lag Force play Imported Support at 3:00PM EDT today, while Even in Death face HeroesHearth Esports at 3:00PM on Sunday. You can find the matches streaming live here. In this week of the RLCS things kick off with Allegiance vs. FlyQuest at 3:00PM EDT today. In Europe Gale Force eSports face Team Envy at 12:00PM on Sunday. Week five wraps up starting with RVL vs. NRG at 2:30PM EDT today while on Sunday the action starts at 1:00PM with ALG vs. Noble.